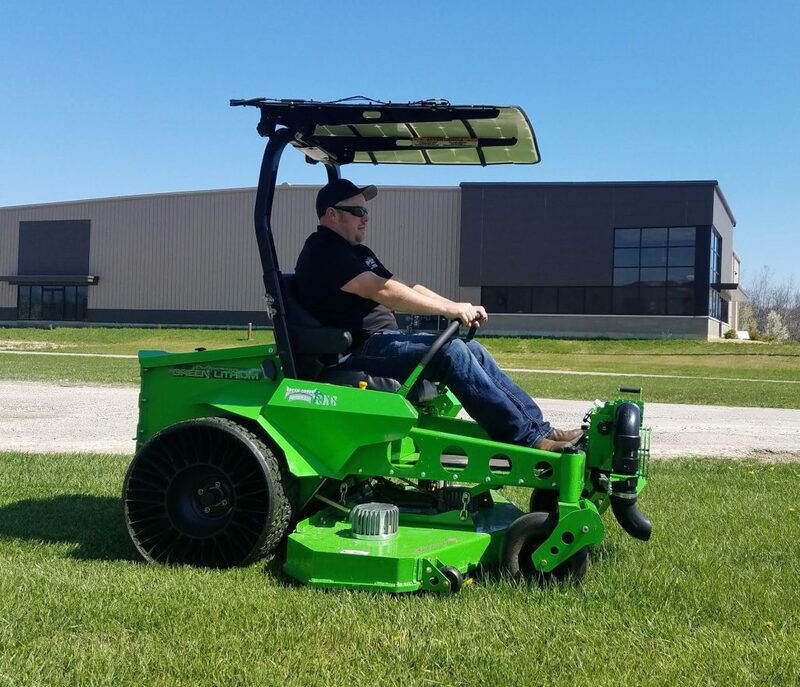 Perfect for those high-profile areas in parks, gardens, cemeteries, schools and universities the 7-hour run time of the industrial version makes this machine a must for any contractor or institution looking to improve the sustainability profile, and health and safety of their mowing operations.With design techniques borrowed from the aerospace industry, the CXR is a robust workhorse for commercial applications available in both a 52 inch or 60 inch deck. Extensive use of aluminium makes the machine lighter with a low centre of gravity. Our rear-discharge hybrid mulching kit is proving popular with operators in New Zealand and features in the video below. Why punish yourself in the pocket, breathe carcinogenic fumes or put your ears at risk by continuing to use diesel or petrol machines? You’ll save up to 88% on fuel and maintenace (no pullies, belts or gearboxes common to diesel mowers) have no fumes to worry about and be happy to operate a machine at around 78 decibels – around half the noise level of conventional mowers. Blowers are also horrific in terms of fuel use, fumes and noise – the ORV-BLAST option allows the operator to remain seated and control the electric-powered blower with foot controls. Look after your back and lungs. And, SAM, our solar canopy not only gives you an extra 30 minutes or so of operating time, but keeps you cool as well (please view the video below). Mean Green’s batteries, or Lithium Energy Modules (LEM), last a very long time. They achieve around 8,000 hours of peak performance and then will gradually decrease in capacity over time. You have the option of one battery (2.25 hours of operating time), two batteries (4.5 hours) or three batteries (7.0 hours of continuous operation). Check out this video, which shows a CXR-60 with rear-discharge mulching deck, a solar canopy and ORV-BLAST attachment. Expect to pay around $40,000 plus GST for the top-spec version with 7-hours of continuous run time. (And don’t forget to subtract three year’s fuel and maintenance savings of around $33,000 so you can compare apples with apples).